This is for a bulk lot of 12 large distressed lanterns. The decorative lantern is made from iron and glass window panes and suitable for both indoor and outdoor spaces. 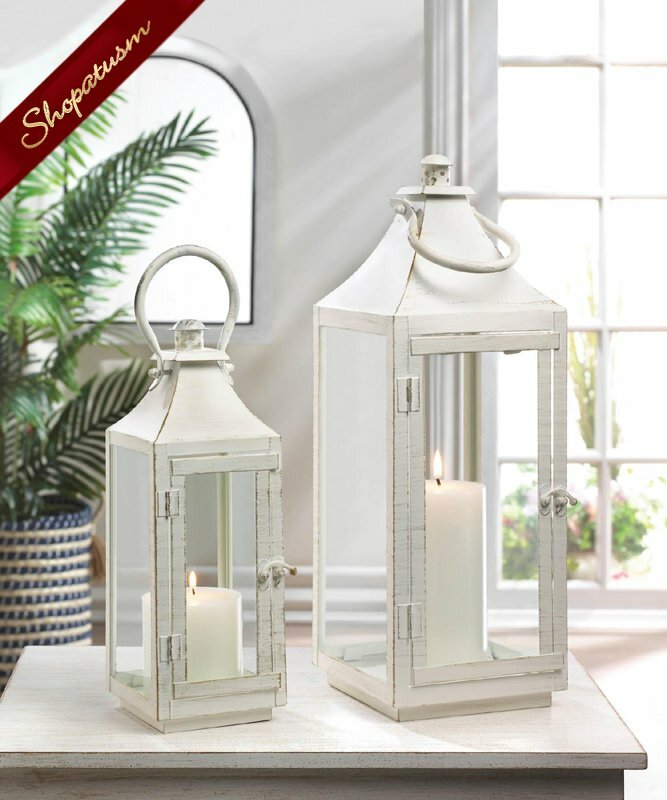 Hang this metal lantern under a covered patio or place it on top of your console table for a charming display. Iron and glass. Measurements: 6" x 6.25" x 17" high. Weight: 3.6 pounds. Smaller lantern sold separately.